"As part of the celebration marking its 100th anniversary, the Women's National Book Association will send a book a day throughout March to President Trump that the organization believes sheds light on many of the critical issues faced by the country. 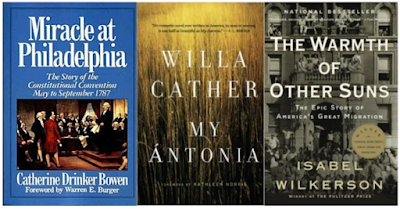 The books have been taken from a list of the top 100 books in both fiction and nonfiction compiled by the WNBA to reflect, in its estimation, the most influential books written by women." Because he might need some recommendations.